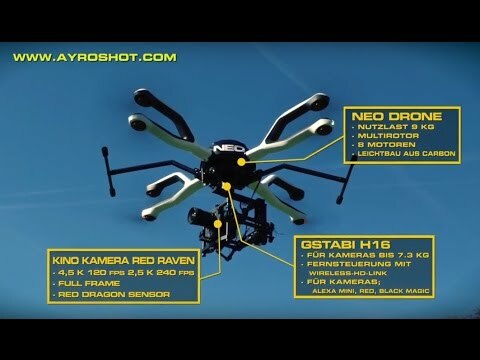 AYROSHOT aerial filming is a Specialist on Audiovisual for aerial filming and photography with professional drones for cinema, TV, advertising and event. Our drones are designed for payloads of up to 9 Kg/19,8 LB and can be used with a wide variety of cameras. We are equipped with the latest technology for professional aerial and ground shots and we guarantee our customers an optimal order processing. AYROSHOT is a trademark of AYRONA BALEAR S.L., IBIZA. Our company is registered with the Spanish Air Safety Agency AESA as a drone company and has all licenses and approvals required for LEGAL work with drones in Spain.